When searching for features on the map, it's useful to have auto-complete or type-ahead functionality to prompt users with valid values. 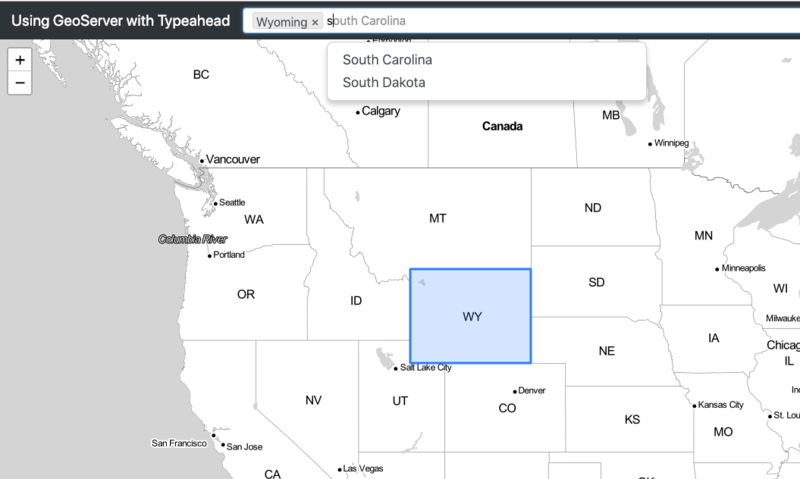 It is possible to use GeoServer as the source for the typeahead with a few modifications to the standard TypeAhead code. See the demo at https://slead.github.io/GeoServer_TypeAhead/ which also shows how Leaflet.js and Tokenfield can be integrated.